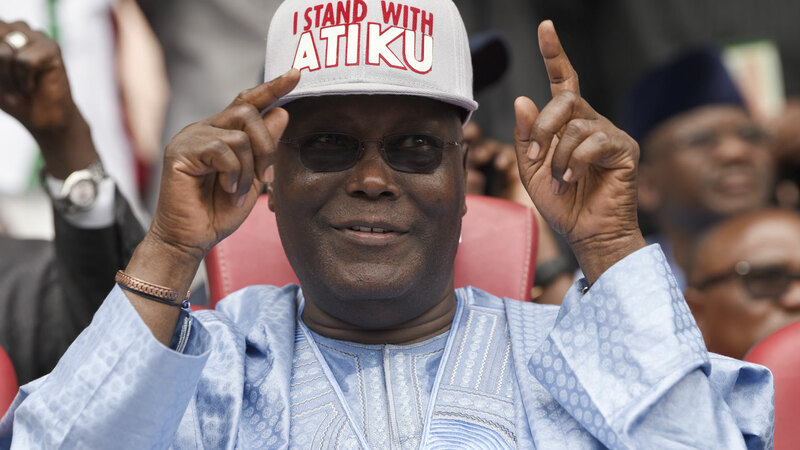 Some Nigerians resident in the United Kingdom (UK) have declared their support for Peoples Democratic Party (PDP) candidate, Atiku Abubakar in Saturday’s race for Aso Rock. They said he (Atiku) represents a new generation of leadership necessary to take the country out of poverty and backwardness. The Atiku Campaign Group based in London said this yesterday ahead of the polls. Members of the UK group, who are already in Nigeria to mobilise support for Atiku, said in a statement in Abuja that there was no reason to compare Atiku with President Muhammadu Buhari, who has failed to make any meaningful impact on any aspect of the nation’s economy. In the statement issued by its Coordinator, Dr. Tony Chidi, the group rated Atiku on many key areas of leadership over and above Buhari, and asked Nigerians to support him on Saturday. But some former leaders of the Movement for the Emancipation of the Niger Delta (MEND) have endorsed President Muhammadu Buhari for the presidential election. They said they arrived at Buhari’s choice after all political considerations in the run-up to the 2019 presidential elections. At a meeting convened by ex-MEND commander, Ebikabowei Victor Ben in Port Harcourt yesterday, the ex-agitators under the aegis of Peace Ambassadors of the Niger–Delta, said since politics is a game of interest, it realised that the interest of the people would be better served under Buhari. Yet another faction of Afenifere, the pan Yoruba socio-cultural group headed by Chief Reuben Fasoranti, yesterday endorsed Atiku for the presidential polls. This comes barely two weeks after the Afenifere faction led by Chief Ayo Fasanmi supported the PDP candidate. The latest endorsement took place in Ibadan at Afenifere town hall meeting on moving Nigeria forward. Meanwhile, the National Union of Food, Beverages and Tobacco Employees (NUFBTE) has commended President Buhari for creating an enabling environment in the sector, which it said has brought about effective and efficient union practice and administration among workers. The union argued that with Buhari’s sense of urgency and responsiveness in addressing the plight of manufacturers in the sector, there has been direct and indirect promotion of collaborative strategy between the employers and unions, which has brought about relative growth in the sector.